“My family is from Punjab, India, which is sort of a breadbasket of India, and California is sort of a breadbasket of America,” said Dr. Boparai, a California native. Each week, he travels hundreds of miles through the Central Valley – from his home in Lathrop, to his teaching job at San Joaquin Valley College in Fresno, to his parents’ home in Lemoore. But it’s in Lemoore where he has literally put down roots. Although his parents bought their land about 20 years ago, at first the two-acre farm tract grew plums, then crop hay, then nothing at all. 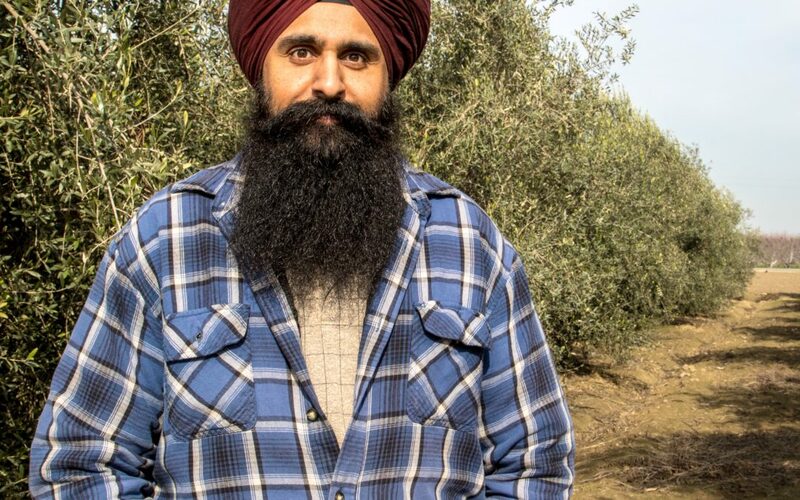 In 2011, Dr. Boparai wondered: Could he turn this into an olive orchard? And Boparai Farms was born. Before the first tree went into the ground, this former Future Farmer of America did his homework. Dr. Boparai’s undergraduate degree was from the University of California at Davis, which happens to have a world-renowned Olive Center. In 2012, Dr. Boparai planted 168 trees “the old-school way” – by hand. He continues to farm the land using sustainable practices and no pesticides, fertilizer or other chemicals. In 2016 – a year ahead of schedule – the orchard yielded its first harvest. Dr. Boparai brought in a picking crew, and immediately transported the harvest to a custom mill about 45 miles away. That first harvest produced 500 bottles of olive oil, which is sold online at www.boparaifarms.com. A year later, the harvest doubled. A few bottles were sold fresh, but most of that oil was still settling during a visit to the olive grove in January 2018. Joan Cusick is a Sacramento-based photographer with a passion for “slice-of-life” storytelling. Want to see more of Joan’s work? Click here.